Is The Real Meghan Markle Feud With Prince William And NOT Kate? 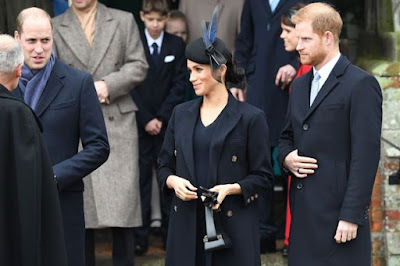 While Meghan Markle and Kate Middleton may have quashed feud rumours after putting on a united front on Christmas Day, there could be a source of tension elsewhere in the family. 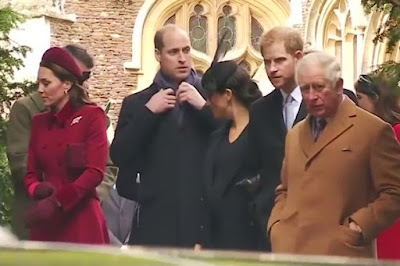 Royal fans have spotted another potential rift after a video emerged of Prince Harry and William, along with their other halves, leaving St Mary Magdalene Church at Sandringham. In the footage the Duchess of Sussex, 37, appears to turn to her brother-in-law to engage in conversation. 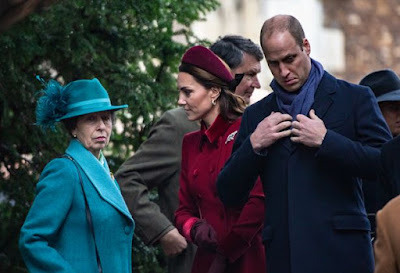 But the future King, 36, seemed more focussed on fixing his scarf than catching her eye. In the video he is seen fidgeting with the accessory before getting into a waiting car. And royal fans believe that Prince William may have been deliberately trying to ignore his sister-in-law. 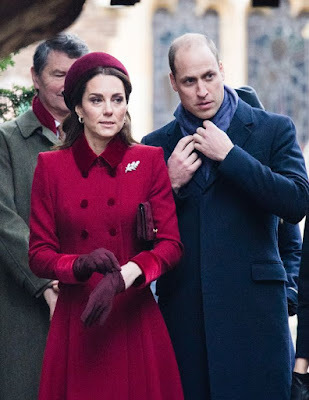 The two Dukes have been reported to have suffered tensions in their relationship this year after William questioned Meghan's suitability as his sibling's wife. They reportedly had a big falling out shortly after Harry announced his engagement to Meghan Markle last year. According to one of their mutual friends, Harry didn't believe his big brother was making enough effort to welcome his new fiance into the family. 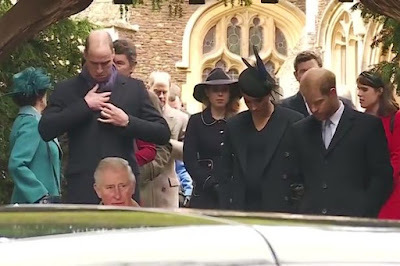 The pal said: "Harry felt William wasn't rolling out the red carpet for Meghan and told him so", reports Vanity Fair. There has been much discussion about tensions between the Fab Four, and many sources have claimed Kate and Meghan also don't get on. Two people have told the Telegraph Kate was left in tears at one of Princess Charlotte's bridesmaid dress fittings ahead of Meghan's wedding. The Queen and Prince Charles however are said to have made it clear that any disagreement between the two duchesses must be kept out of the public eye. » Is The Real Meghan Markle Feud With Prince William And NOT Kate?